Our new reserve in South Africa protects one of the last significant populations of the Critically Endangered Geometric Tortoise. This past month, TC’s Senior Conservation Scientist Dr. Jim Juvik was in South Africa to oversee fencing, alien species removal, predator control issues and fire management planning for the reserve. In discussions with surrounding land owners; some of them have been working this land for many generations, Juvik discovered a strong local commitment to tortoise habitat conservation. Two adjacent land owners with fragments of remaining fynbos and some tortoises remaining on their farms generously committed to formalizing cooperative management agreements with us to enlarge our combined conservation area footprint by incorporating an additional 103 acres of neighboring habitat for tortoise co-management. In one case we were allowed to extend our reserve perimeter fence to include the neighbor’s abutting 42 acres of fynbos. Another neighbor agreed to work cooperatively with us to better fence their adjacent 61 acres and collaborate on a management plan. Because land is very expensive in this prime agricultural and urban development area near Cape Town, we are extremely lucky to have such generous neighbors allowing us to expand the effective protected area at little additional cost. In contrast to these fortuitous adjacent fynbos fragments, much of our 11 mile reserve perimeter fronts on other tortoise-incompatible land uses (highways, rail lines, vineyards and industrial activities), where our fencing has had to include tortoise-barrier mesh at ground level to restrict movement into unfriendly landscapes. Where we have collaborating adjacent land owners we remove the tortoise-barrier fencing to allow free movement between the reserve and abutting fynbos habitat. Another adjacent farmer with more 240 acres of tortoise habitat and a small well-maintained house (that would be ideal for a reserve manager and field-workers), has this property currently up for sale, asking more than US$ 500,000. This represents the final piece in the land use puzzle that would complete the reserve, which would then total more than 1,140 acres and greatly enhance the long term sustainability of the world’s last significant geometric tortoise populations. We encourage your help is raising the necessary funds to enable this purchase. While completing reserve infrastructure with our neighbors is advancing well we are still left with serious problems. Removal of alien pant species is moving ahead but the problem of juvenile tortoise predation by Crows remains a difficult issue. The native Pied Crow populations expand dramatically in human altered urban and agricultural landscapes in the Cape. Farmers elsewhere in the Cape have found hundreds of juvenile tortoise shells (of other tortoise species) beneath a single crow nest. Crow control is difficult because these birds are very smart and quickly learn to ignore or avoid control measures (e.g. recorded alarm calls, trapping measures, etc.). 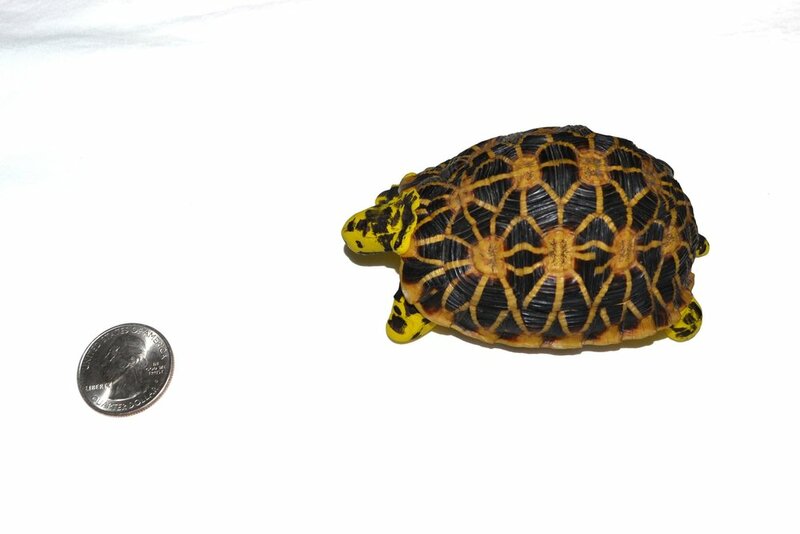 A new technique being developed in southern California to control raven predation involves using baby tortoise decoys with Play-Doh appendages laced with unpalatable flavors to “train” crows to avoid young tortoises. We will soon unleash our geometric decoy, Sydney, to test the efficacy of this approach at our reserve.